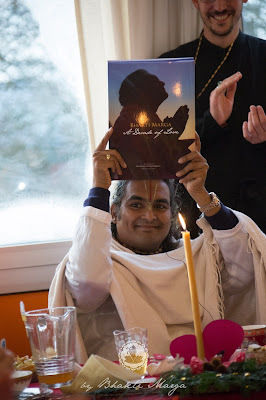 Over the last couple weeks I received the grace to work on the "Decade of Love" book, which chronicles the last 10 years of Mahamandaleshwar Sri Swami Vishwananda's mission, Bhakti Marga. The book is a condensed and image-rich version that illustrates the last 10 years of Guruji and his many devotees. During the last few days of the book's development, I had a strong feeling that I had not experienced before. The chapters were taking shape, photo layouts were being finalised, and it started to become a solid entity. During this stage, I felt a wave of awe. I'd not felt something like this before - only had I imagined feeling this after reading fictional stories. This feeling was arising from seeing a mission of Love. This mission was truly worldwide - I could really see that now. It was, and is, built out of grace - the grace that only the Divine could call together. 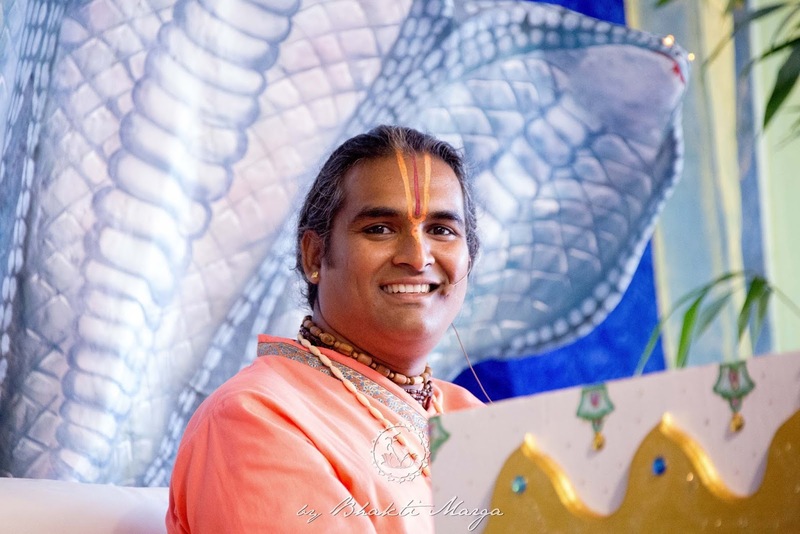 This mission was pieced together out with the thousands of individual experiences of each devotee, and it all came together to form this beautiful mission. When I felt this, I had to stop, to take in the moment. This book was a glimpse of something holy. It really was a grace to see all the pieces coming together. I must have had joy on my face for a solid half-hour afterwards! In this book, it's clear to see that our Master and his mission are one.The mission of Bhakti Marga is a manifestation of his Love. 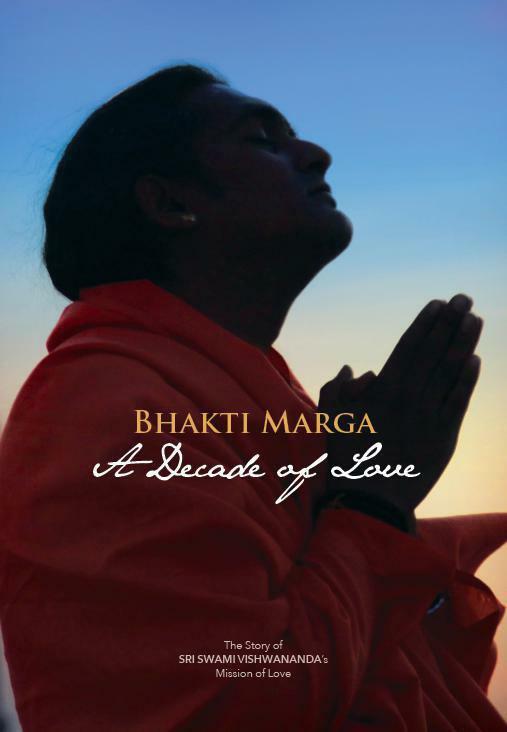 Just like this "Decade of Love" book, the growth of Bhakti Marga has been made up of many pieces. Sometimes these pieces are shaped over many years, and sometimes its divine harmony is only revealed at the last moment. Yet, it's always in God's perfect hands - in our Guru's perfect hands. This book gives a glimpse into the early years of Bhakti Marga - the beginning of Steffenshoff, and the formation of the community that supports Guruji's work around the world. In putting the book together, we were able to see how the Bhakti Marga family has changed over the years. While digging through archives of photos from Guruji's work around the world, the team building the book could reminisce. We shared many a transformative stories that had taken place over the last decade. Each story that we shared spoke to us about two things: Who is this person who has impacted our lives so profoundly, so wonderfully? 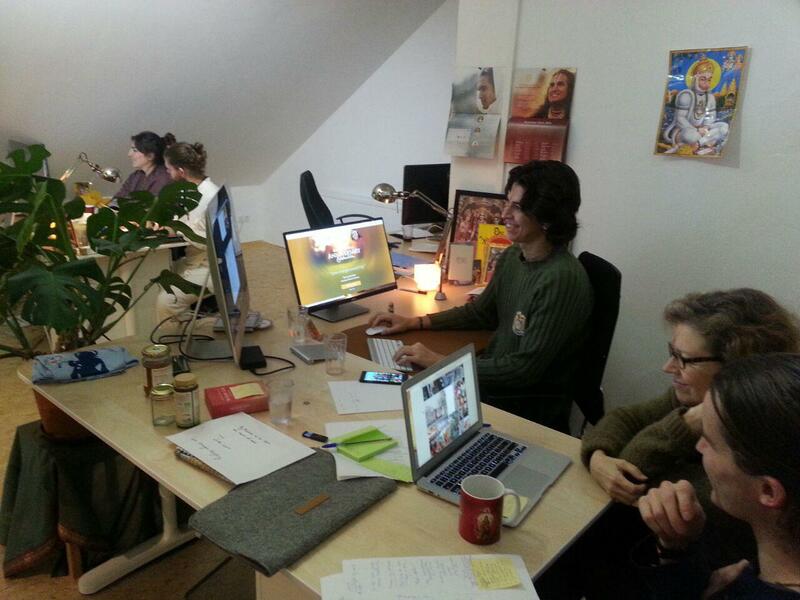 AND What were the wonderful ways we had changed over the years of being a part of Bhakti Marga? The transformations we had undergone were diverse. Each devotee had experienced something - something profound and moving - which caught their attention in a way that nothing and no one else in the world had done prior. Each situation that brought us to Guruji was different - unique to each of us. Every one of the spiritual lessons we've all gone through have been wrapped up in experiences 'just for us'. Tailor-made, as it were. What stayed the same throughout this decade of Bhakti Marga was Guruji's Love. As Mahant Satya Narayan Das Babaji wrote in the book's preface, Guruji often plays the role of the perfect bhakta of God - incredibly devoted, hard-working, and single-pointed in his focus of Love. His dedication to opening the hearts of man is beyond measure - yet clear and visible. His Love shows up and works hard, constantly, day after day, year after year: one Darshan after another, one interview after another, one pilgrimage after another. In this decade, Guruji has shown himself to be the puzzle piece missing from each of our hearts. But what of our fellow devotees? What of humanity? If the mission of Sri Swami Vishwananda is to open the hearts of man, surely that means that his devotees will open up their hearts. Surely they will reflect the love that their Guru teaches and displays. Working with the team of people to create this book was a sweet sample of this opening of hearts. The people who worked together to make the book were each very talented and creative. In creating this book, we often had ideas for its design which we felt strongly about. We had disagreements amongst ourselves. What our team was experiencing was a natural part of teams everywhere. Each of our experiences were telling us to stand up for this project taking shape in a certain way, which matched our model of how the world should be. "This photo looks best when it's formatted like this." "This font is the one we should use." "I'm not sure this photo is the one we want in this chapter." We had disagreements. However, through Guruji's grace, we were willing to put our lists of "shoulds" aside. We listened to each other, we let go of inner attachments to the way we wanted it to be, and we worked hard to make something together - one step at a time. Once we picked up momentum in the spirit of working together, what started as disagreements turned into inspirations. We were no longer giving each other stumbling blocks - we were giving each other ideas and hard work that we could build upon. In the last few hours of putting the final form of the book together, the team was harmonized. We worked together, with unity. It was a beautiful thing to behold. 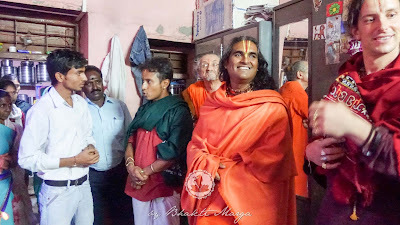 The next years of Guruji's mission are hard to imagine - we've experienced so much transformation in such a short time, I don't know what to expect for the future with all the added complexity of a growing community. More people will be drawn to Guruji, through direct encounters with him, and through the words and actions of his devotees. 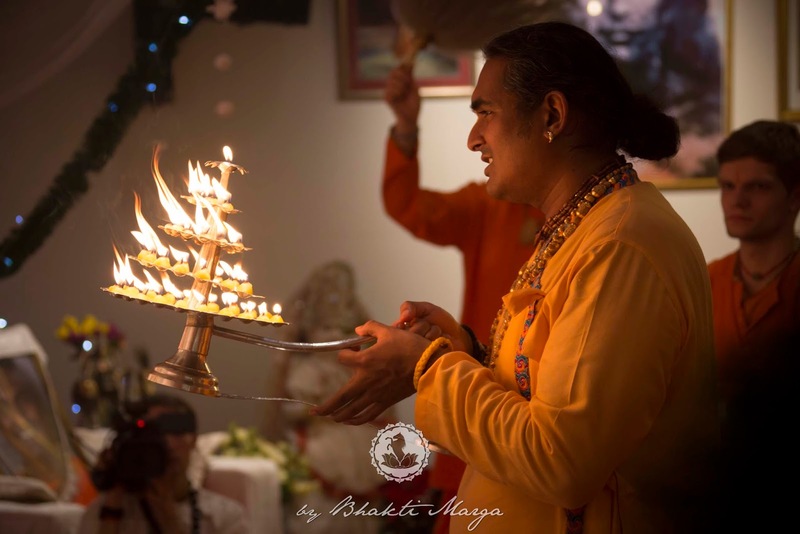 Bhakti Marga will grow - our devotee 'family' will become a rich network that reaches more and more places, more and more people as time goes by. But what challenges await us? What "processes" will we go through - individually, and as a community? Only Guruji knows for sure. What is clear is that Guruji will always Love us, and that we must always try to Love more like he does - unconditionally. Working on this book that recaps a decade, I see that "trying to Love" is something we can do - something we know how to do. Love may be an eternal and infinite mystery - the wonderful and unknowable nature of God Himself. Our path, however, is devotion to God - devotion to Love. We are excited to announce that A Decade of Love is now available! Find it in the Bhakti Shop during your next visit to SPN and have a Happy New Year!